A very good VPN provider that keeps no logs, has very fast servers, an easy to use software and doesn’t block P2P. Security-focused company based outside of USA, in Eastern Europe. Their servers are fast and the customer support is truly remarkable. If you are looking to torrent securely, Torguard VPN is a very good choice. They bundle many features with their service. Another great VPN service is ibVPN. They are based in Romania, have quite a few locations you can choose from and a smart DNS service allowing streaming without requiring a VPN. Swedish VPN service offering a solid service, privacy focused. 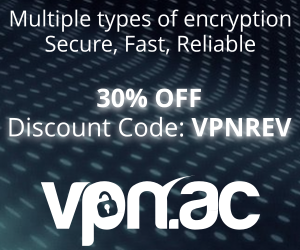 A solid VPN service with many locations, good software. It’s a bit pricey compared to others.